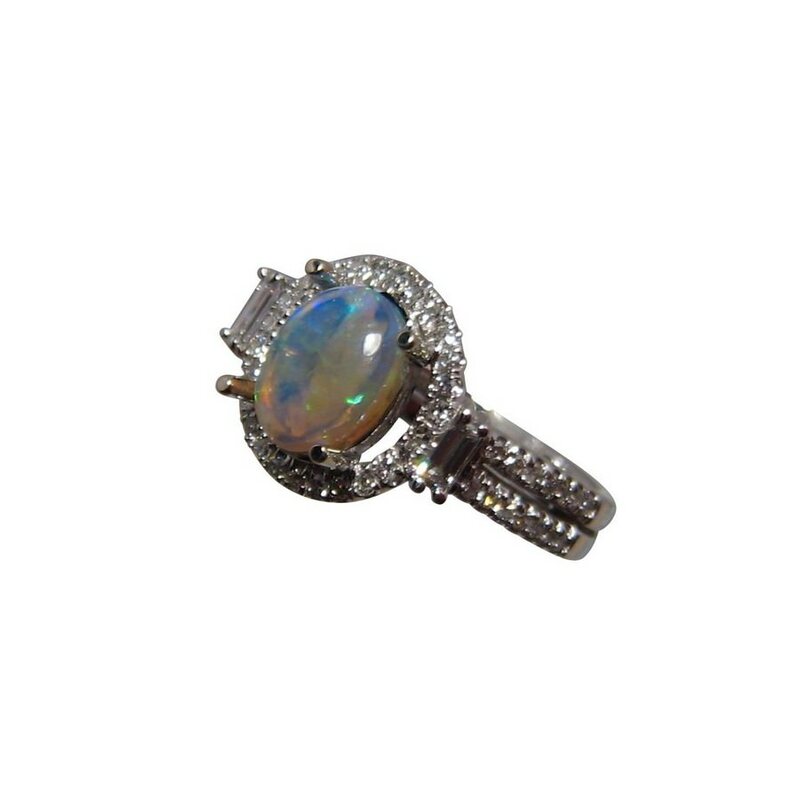 An elegant Opal ring accented with multi Diamonds in 14k Gold. In stock and ready to ship. 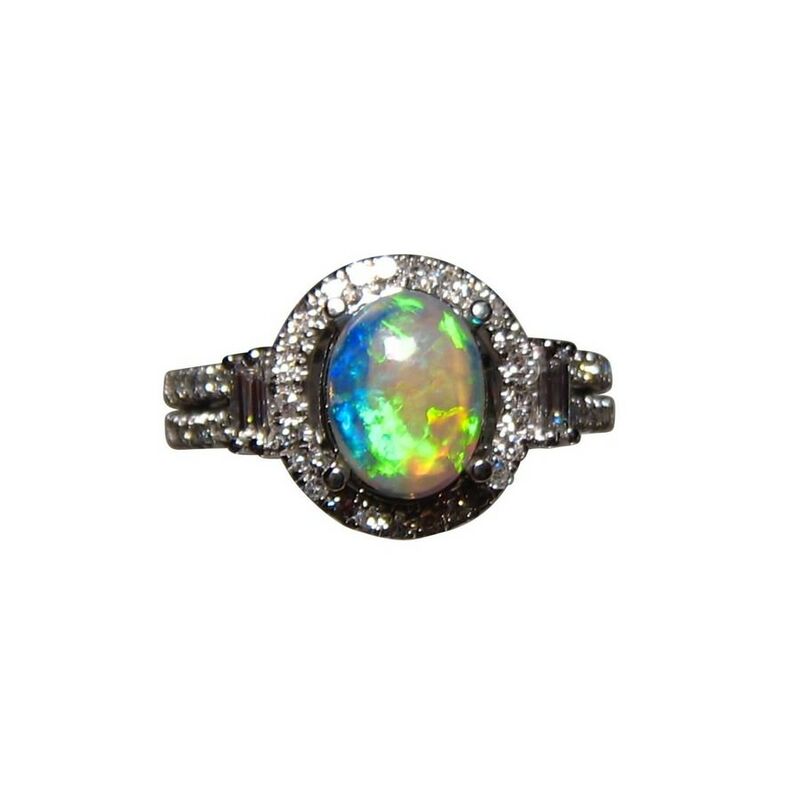 This Opal and Diamond ring is a beautiful design with the Opal as the main feature and the addition of sparkling Diamonds adding glamour to the overall ring. The Coober Pedy Crystal Opal is an oval cut stone that flashes mainly Green in a Patch play of color which is lively as the video below will show. 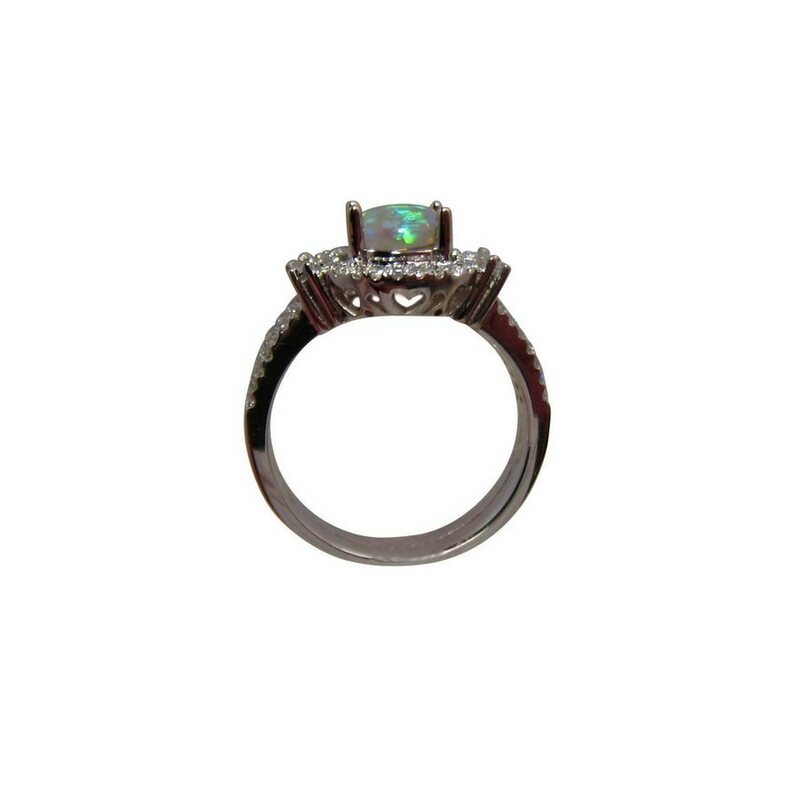 The ring is shown in 14k White Gold and is prong set with a baguette Diamond on either side of the Opal with a further 54 small round Diamonds of good quality around the Opal and on the double band. 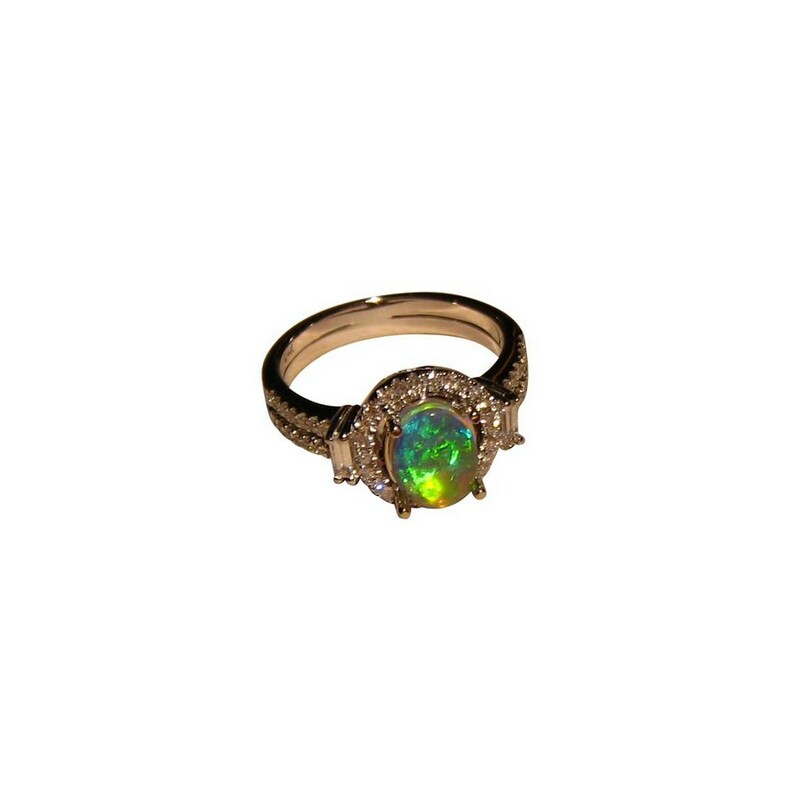 The ring weighs almost 4 grams and is in USA size 5.5 however as the Opal is not yet secured, the ring can be made in your choice of Gold color and ring size. 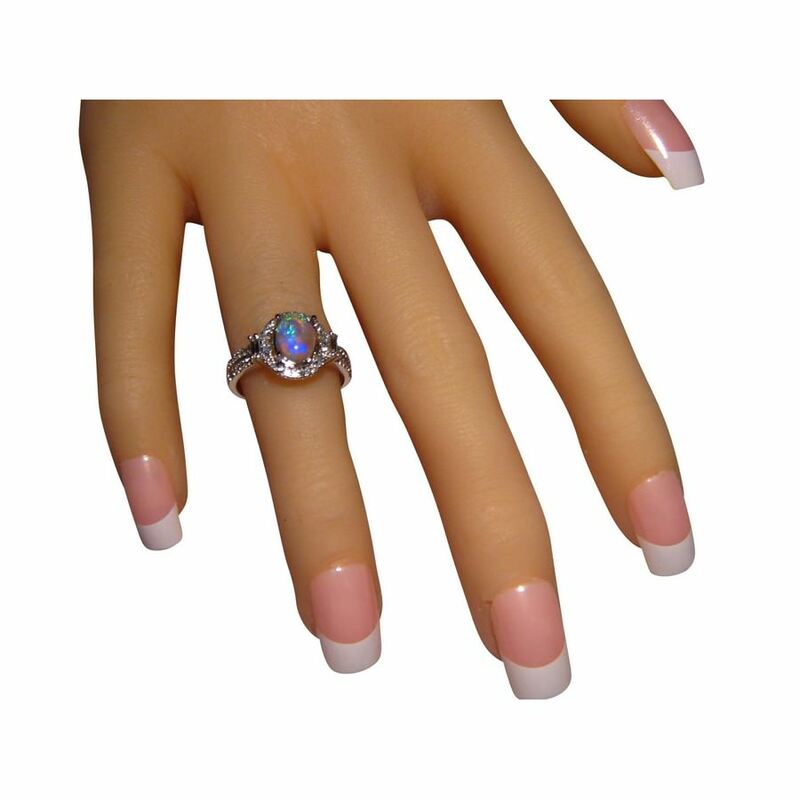 A beautiful Opal ring design suitable to wear at any time or as an engagement ring and is ready to ship now or will take about 21 days for any changes to the ring. If you would prefer a different ring setting, contact through the Ask a question link on this page for assistance. 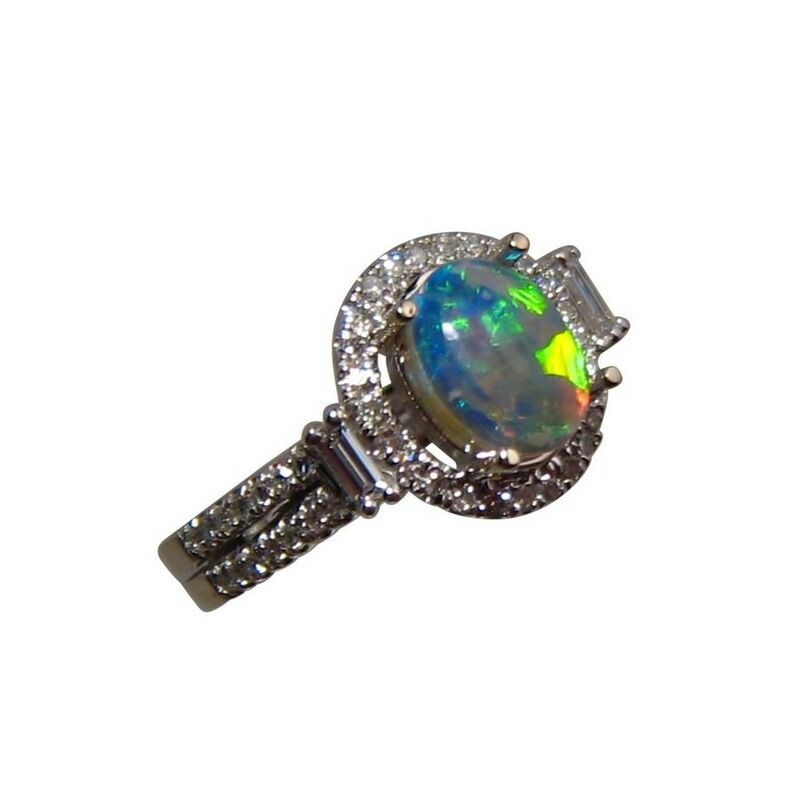 One photo it may seem the ring is in Yellow Gold which is only due to the lighting when taking the photos and this article on Photography explains the way we take photos of our Opal jewelry.